A rare early shipwreck from Vasco da Gama’s second voyage to India (1502-1503) has been discovered off the coast of Oman. It is the earliest Age of Discovery ship ever found and thanks to its remote location, archaeologists got there first. Portugal sent ships on an annual journey to India, the Carreira da India, since Vasco de Gama discovered the sea route in 1498. It was a long, arduous, and very dangerous journey in the open ocean down the full length of west Africa, across the Cape of Good Hope, north up the east coast to Mombasa, modern-day Kenya, then across the Indian Ocean to Calicut (Kozhikode) in southern India. Many ships and men were lost on the India Route — one study found 219 ships were wrecked between 1498 and 1650 — and yet, very few shipwrecks have been discovered, and the few that have been were stripped bare by looters before archaeologists had a chance to explore them. Without their contents, ships area difficult to date. The earliest Carreira da India wreck that could be conclusively dated is the São João which sank in 1552. The lack of an archaeological record for those first 54 years have left a large gap in our understanding of the early Portuguese trade to and from India. 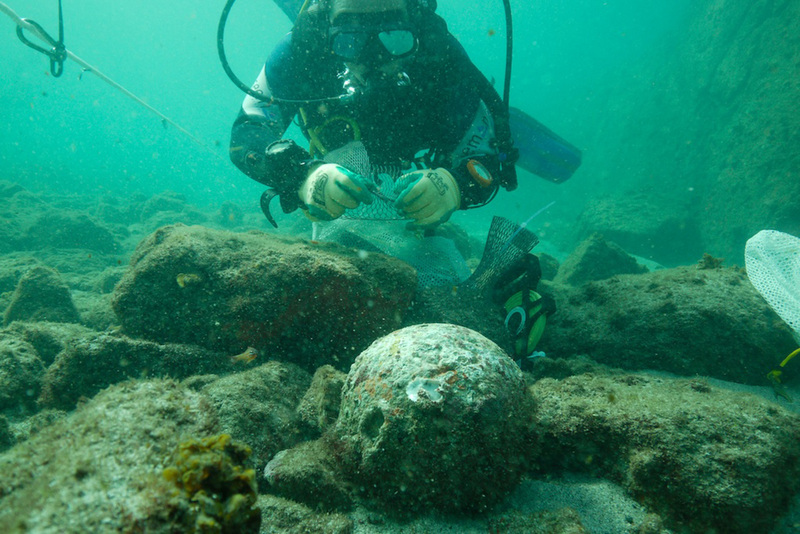 Hoping to find a wreck from that 54-year gap, researchers scoured archives looking for the possible location of two ships — the Esmeralda and São Pedro — that sank during Vasco da Gama’s second voyage to India in 1503. The two ships were captained by Vicente and Brás Sodré, brothers and da Gama’s maternal uncles, and led an independent squadron in the fleet that had separate military orders directly from Portuguese King Dom Manuel I to “make war against the ships of Meca” on the Malabar coast and corner the spice trade. In 1503, after da Gama had returned to Portugal with the bulk of the fleet, the Sodrés went above and beyond their orders, leaving the Indian Ocean for the Gulf of Aden where they attacked and pillaged Arab ships of their cargoes of spices, prized textiles, sugar and rice. When one of the lead ships needed repairs, the squadron was moored off an island now known as Al Hallaniyah, 28 miles from the south coast of Oman. A violent storm broke them to pieces. Everyone on the Esmeralda died, including commander Vicente Sodré. Brás Sodré and most of his crew survived the wreck of the São Pedro, although Brás died a short time later of unknown causes. The Sodré squadron’s special status, military adventurism/piracy and the demise of the lead ships made for an especially rich documentary record with multiple extant accounts of the voyage and wrecks, including an eye-witness report from the captain of another ship in the squadron. The research determined that the island where the ships had wrecked was likely Al Hallaniyah. Based on the findings, a 1998 expedition searched the area and found dozens of round stone shot and lead-iron shot typical of 16th century heavily armed ships. The remoteness of the location made a full investigation difficult. 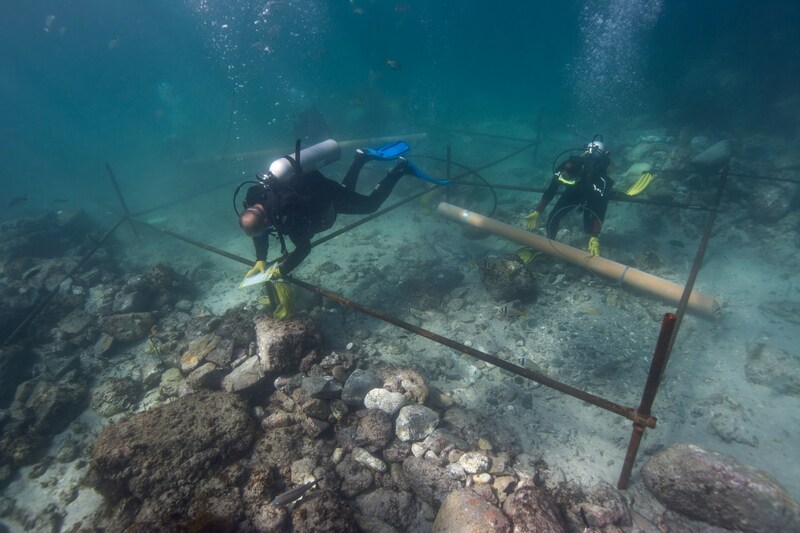 It wasn’t until 2013 that shipwreck recovery experts Bluewater Recoveries Ltd. partnered with the Oman Ministry of Heritage and Culture to excavate the site. A geophysical survey was followed by an extremely complex excavation and artifact recovery project which ultimately retrieved 1911 objects. The ship itself is gone. The hull and masts were torn apart by the storm, and the squadron crew burned the ships after salvaging whatever they could. Between 2013 and 2015, excavators found Portuguese, Chinese, Persian and West African ceramics which roughly dated the ship to between 1450 and 1550, a large quantity of ordnance, including 19 copper-alloy and one iron breech chambers, three handgun barrels, 91 handmade stone shot, a copper-alloy disc with the Portuguese royal coat of arms and the armillary sphere that was Don Manuel I’s personal shield from before he was king, and coins, including 12 gold Portuguese cruzados, 11 from the reign of Dom Manuel I and one from the reign of his predecessor Dom João II. 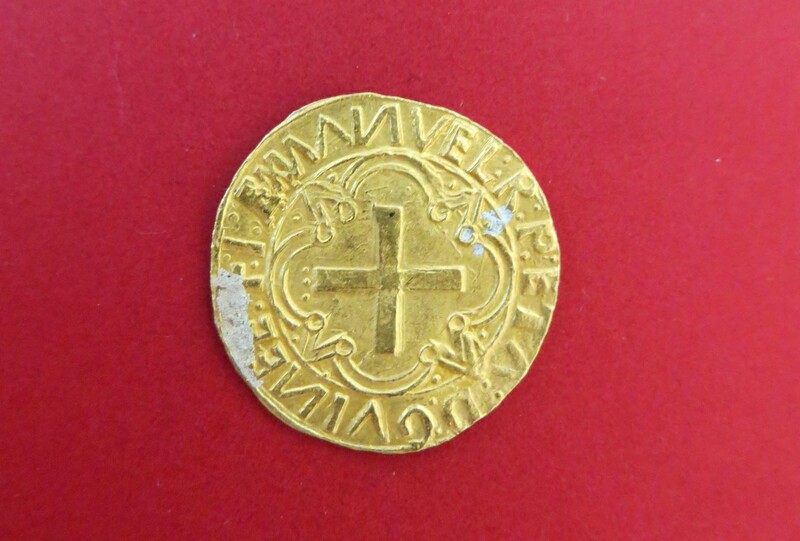 One of the coins was instrumental in narrowing down the date of the wreck . It’s a silver índio, a type of coin first struck in 1499 and discontinued by 1504. They were explicitly produced for the Portuguese trade in India and because they were minted for such a short time, they are extremely rare. This is only the second one known to exist. There are more videos and information on the website dedicated to the shipwreck of the Esmeralda. The full interim report on the find can be read here. This entry was posted on Tuesday, March 15th, 2016 at 11:00 PM	and is filed under Modern(ish), Renaissance. You can follow any responses to this entry through the RSS 2.0 feed. You can skip to the end and leave a response. Pinging is currently not allowed. This is a very interesting piece on Vaso de Gama. It was well detailed in the explanation of the ship wrecks that took place in the 1400-1500s century. 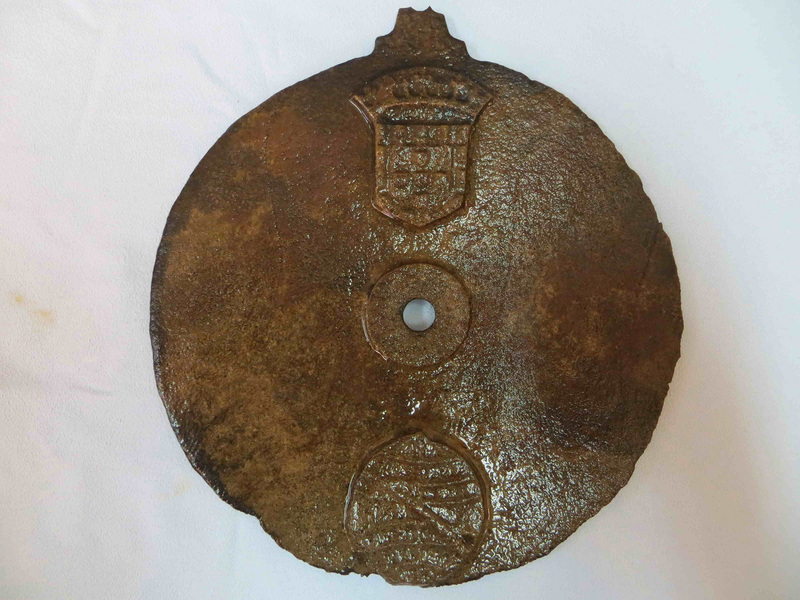 Also the artefacts that were discovered by the archaeologists such as the bell and special coins which allowed them to identify more with the history behind the ships and their journeys as well as the purpose. This piece went into full detail. It’s very interesting to read. Technology has come a long way to helping us discover the past. Very informative.